The Laundry Detergents primary job is to remove the stain and clean your clothes. However, it is such a big plus and no small matter for a Laundry Detergent to leave a good scent to your clothes. After all, the scent of the Laundry Detergent will also be the scent of your clothes, and thus, the scent you bring wherever you go. Aside from the usual considerations for choosing a Laundry Detergent, there are other special circumstances also call for special concern, like having a baby. Choosing the right Laundry Detergent now becomes an important issue, parents must find a product that is primarily safe, does the cleaning job, and gives a gentle fragrance to the baby. The problem here is how to choose among the numerous products of different brands that are available in the market out there. But don't worry anymore, because I will share with you how to choose and as well give you choices of the safest, effective, and the best smelling laundry detergents. What Is Your Favorite Smelling Laundry Detergent? First and foremost, Laundry Detergents must clean your clothes, and then remove spot stains, soften fabric, dissolve readily in tap water, protects the color of your clothes, improve ironing, and not harmful for sensitive skins. Certain Laundry Detergents surely have some of the features that are listed above, but you must not be too hasty with them. You have to find the product that has equal, more or slightly fewer combinations of the features that are listed above. 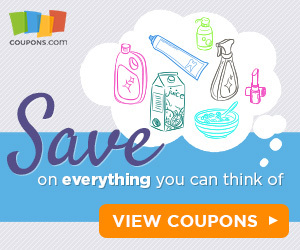 It is also advantageous that you have coupons for the products or it’s on sale. Buying in bulk is also good, for you will save time and money, but be sure that you have a safe and adequate storage for it. Now that you know what to look for in a good Laundry Detergent, I will present our top 5 picks for the safest, most effective, and the best smelling laundry detergents so you can judge for yourself. Let’s start our list with one of the most common Laundry Detergent that can be found at almost any local store, the Tide Original Scent HE Turbo Clean Liquid. Mind you; they are common because they are one of the leading Laundry Detergent based on sales. This Laundry Detergent prides on its original scent, which can be described as having a floral and aloe scent. This scent is pleasant to the nose and is not too strong even though it effectively removes the bad odors from your dirty laundry. It is also very good in removing stains; it can remove away stains from poo, sweat, coffee, tea, blood, and much more. Not only that, but this Laundry Detergent also improves your white clothes and while also protecting the colors of your shirt. Good scent, is good in removing a lot of kind of stains, and improves your white and colored clothes. The smell is very good, very pleasant. Protects colors and improves whites. The downside of this Laundry Detergent is that it is not as good on removing a stain that has set for long in the clothes. While the scent of this product is pleasant, some people may like the stronger than subtle smelling ones. The next option on our list of Laundry Detergents is the ‘Gain Flings Original.' This option is the most expensive on the list. But as you will now know, your money will be worth the price. The Gain Flings Original is produced in small packs, which is very small and very convenient to bring anywhere. One pack is good enough for a medium load of dirty clothes. The Gain Flings Original also don’t just remove bad smells, but they leave a natural scent that is described like as the scent of Moonlight Breeze. This scent also stays with you after washing, storing, wearing the clothes, and not only that; it also prevents bad odors to set on your clothes. The Gain Flings are also observed as more effective in removing stains, protecting colors and preserving the white of your clothes than the performance of other Laundry Detergents. Smell is fresh and clean and is retained in the clothes through wearing and storing. Generally, this was a lovely pleasing clean wash smell. The only downside of this Laundry Detergent is its price, and also some of the plastic casing of the packs doesn’t dissolve quickly and properly. From the most expensive one, we now go to the cheapest one, the Arm & Hammer Laundry Detergent. This is a good choice for parents out there that wants to save money. It is deemed to be the alternative of Tide, which tends to be a bit pricey. This Arm & Hammer Laundry Detergent is good at removing stains that are protein-based like the egg, grass, and several others. The detergent meanwhile struggles on removing tougher stains, but the takeaway is that it doesn’t cause damage like wear and tear in your clothes. Aside from its low cost and effective cleaning, the Arm & Hammer Laundry Detergent also gives off a gentle and fresh scent. This scent gives your clothes that smell of fresh linen; this scent comes from the formula of combined deodorizing property of baking soda, natural freshening, and a distinct lingering scent of the brand. Very cost-effective and doesn’t contain a lot of chemicals. The smell is great; subtle, fresh and pleasant, and combats existing odors extremely well. Recommended for people who have had allergy issues with other detergents. Not very effective in removing tougher stains and fragrance doesn’t last very long. The Seventh Generation Powder Laundry Detergent is the safest choice for you and also for the environment. This is because it is made up of 71% bio-based formula from plants that have cleaning properties; it is void of optical brighteners, synthetic fragrances, and dyes that often harms the rivers, like, and streams. Aside from its unique biodegradable feature, the Seventh Generation Powder Laundry Detergent also prides itself on its cleaning property. The product describes that it can remove the toughest of stains, stubborn dirt, and grease. The Seventh Generation Powder Laundry Detergent also has a unique scent of botanical extracts and essential oils. Biodegradable, safe from harmful chemicals but performs as well as any other detergents. The only downside of this Laundry Detergent is that the powder takes time before dissolving in cold tap water. The Grab Green 3-in-1 Laundry Detergent is another safe alternative on this list. It doesn’t contain harmful chemicals like Phosphate, Chlorine, Dye, or optical brighteners that cause damage to the environment or have carcinogen properties. While having a non-toxic formula, this Laundry Detergent is very effective in removing stains and brightening your white or colored clothes. It also brings with it a natural scent from essential oils that gives a freshening and rejuvenating feeling. Mostly made of natural components but still very effective in removing very tough stains. It has an uncommon or exquisite smell, which can be liked or disliked by some. Our list of Laundry Detergents is not exhaustive, although you can guarantee that they are effective and they are one of the best smelling laundry detergents out there. But if still, you are not content, you are free to explore the market. But before you do that, you have to do a research and avoid products that contain these chemicals. Phosphates can often be found in cleaning products, and if a person is exposed to it in large amounts, it can cause diarrhea, nausea, and skin irritation. Although it causes these health concerns, Phosphates are more harmful to the environment. This chemical is very dangerous because it can cause endocrine disruptor. It is a carcinogen and can also cause hormonal problems. The Sodium Lauryl Sulfate and Sodium Laureth Sulfate are not toxic by themselves, but under several circumstances, they can produce a by-product that is harmful to our health. The 1,4-dioxane is also very hazardous and is identified as a carcinogen. Having a baby is a special experience for us, and it isn’t long that our children remain as babies. So we try to make this period as memorable and special as we can. Selecting the best smelling Laundry Detergent may be trivial for some, but it does contribute positively to this experience. For smell is important, the good scent makes anyone happy, and good scents stay and play an important part of our experience and the memory we make of them. Now that we are at the end of the article, we now know what to look for in a good ﻿L﻿aundry ﻿D﻿etergent. They must, first and foremost clean your clothes, and then remove spot stains, soften fabric, dissolve easily in tap water, protects the color of your clothes, improve ironing, and not harmful for sensitive skins. After that, we have discussed the safest, finest and the best smelling laundry detergents that are available in the market. We also now know the chemicals that we must avoid when purchasing one, and we have come to the conviction that we must only choose the best smelling Laundry Detergent because it makes us happy, and make the memories with our babies more special. Previous Post How Soon Can You Drive After Having Birth? Important Things You Need to Know Next Post Is It Safe To Breastfeed Your Baby When You Have Cold Or Fever?